Hi! 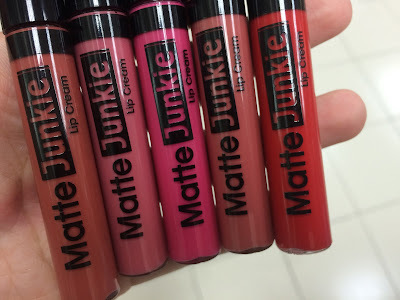 I super love matte lipsticks and apparently Silky Girl has this new Matte Junkie Lip Cream which I super love! From top to bottom: 01 Retro, 02 Glamour, 03 Rebel, 04 Vintage and 06 Vixen. I love the 04 Vintage! You can get it at Guardian, for RM21.90. Searched it at Watsons tapi takde. Guardian je ada tapi mostly dah habis stock, kemain eh korang beli. Update: It is finally available at Watson! Very pigmented. Applying only once is already enough! Kissproof. Maksudnya lepas pakai, cuba try kiss tangan sendiri, warna dia tak melekat langsung! Which is so good. Long lasting! Minum air tak hilang. Tapi kalau makan berminyak or sup, of course dia hilang sikit, so need to touch up. Quite waterproof. Bila kena air, lepastu try gosok, tak hilang! Susah nak hilang. 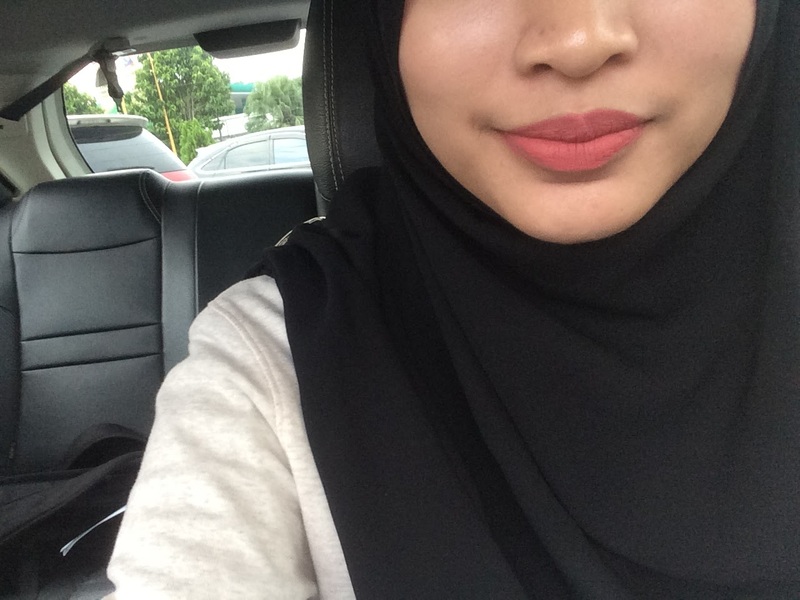 Bila apply dekat bibir, dia terus dry to matte. Tak perlu tunggu lama untuk kering. Bibir rasa kering so lipbalm is needed! But it's matte, all matte lipsticks are like that. Hard to remove. 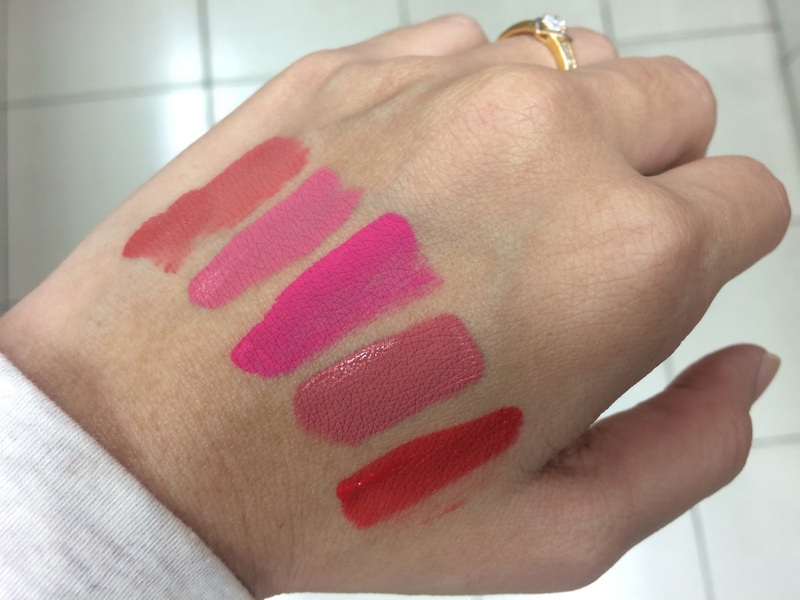 Tapi takdelah susah macam Colourpop UML, yang tu paling susah! I really recommend this. Besttttt!!!! 4.8/5.0. 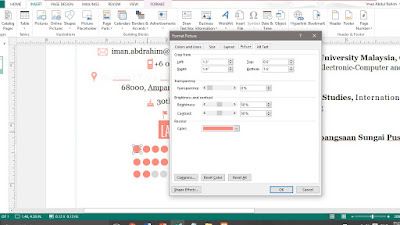 First of all, you need a Microsoft Publisher. Secondly, you need some inspirations. 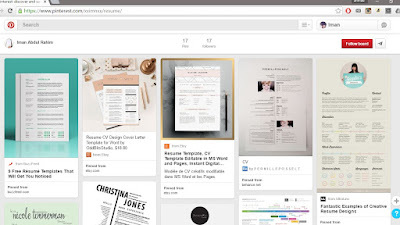 My inspirations are from pinterest. 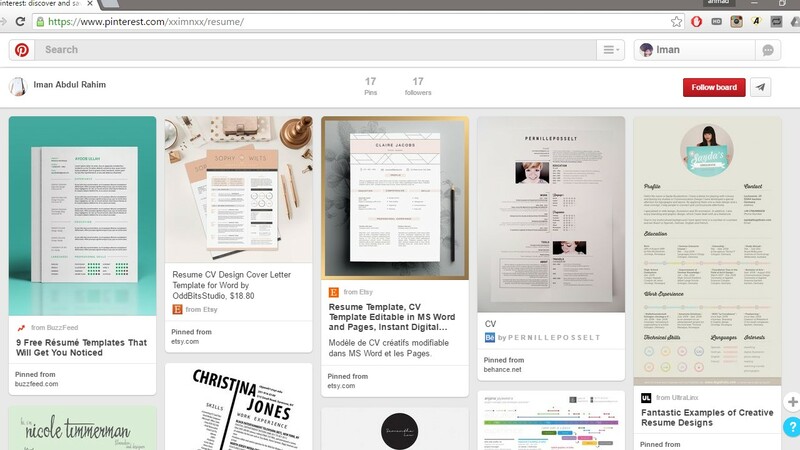 There are A LOT of pretty resumes! Just search "resume design" and you'll be rambang mata nak semua! 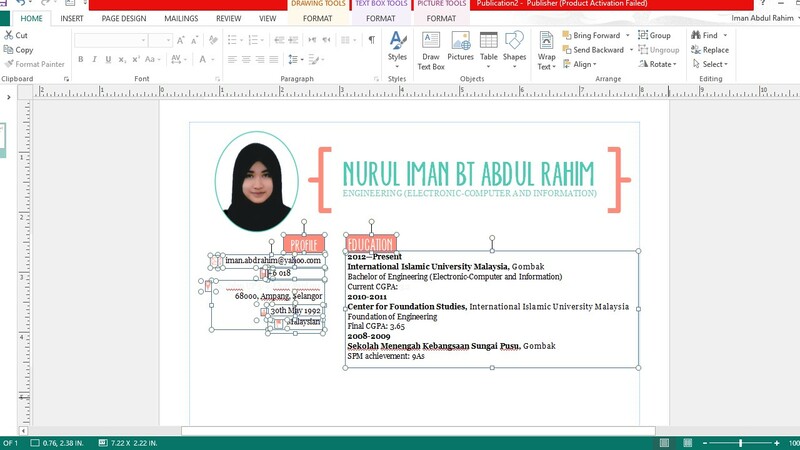 Next, when you have the idea on how your "pretty" resume will look like, you can start your project. 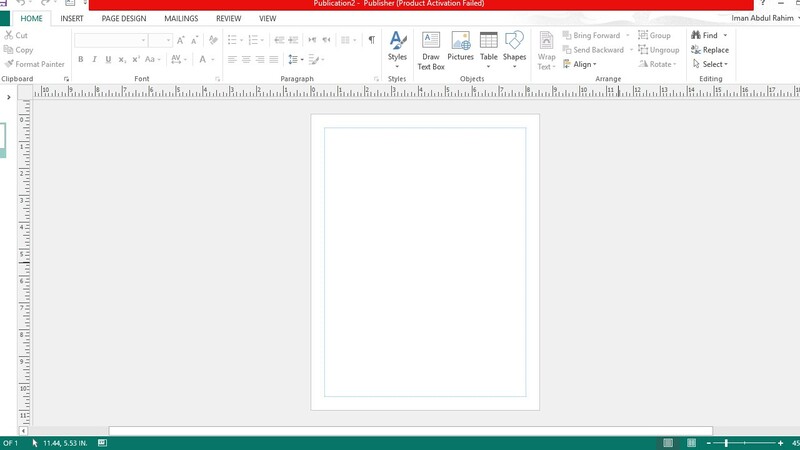 Just draw the text box, type in your name and majoring. Insert your picture too! Just google "envelope icon", the pilih bentuk mana yang suka, copy, paste it in your project. 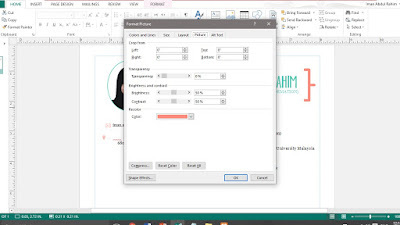 And then, right click on the icon, click format picture, then recolor it to the colour that you want. I choose peach. 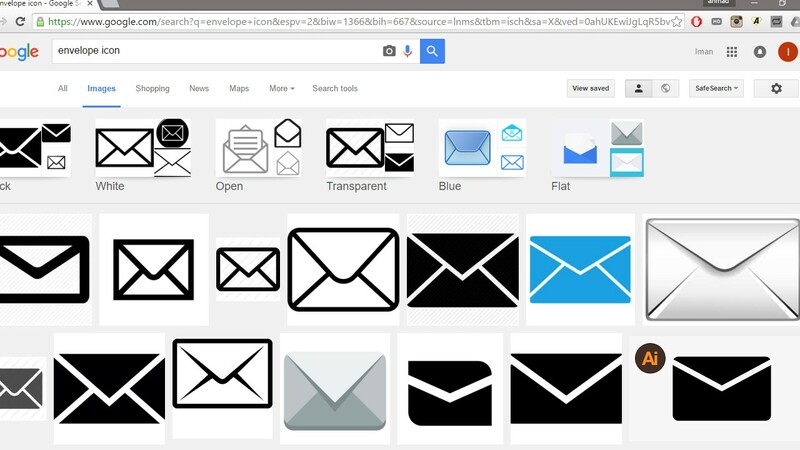 Search other icons and repeat the steps above. 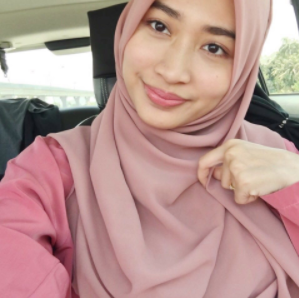 Susun cantik cantik dekat tepi tu. Next, for languages proficiency, it would be boring if you just put 5/5 ke, 4/5 ke, so I decided to use bullets. 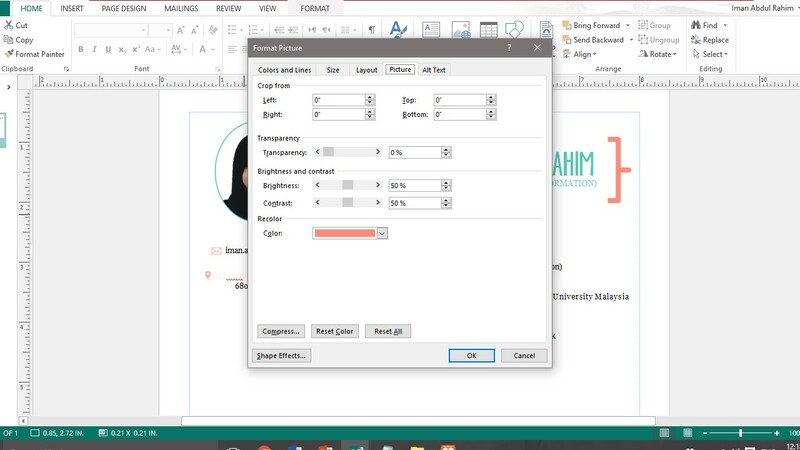 And then, just change the color of the bullet one by one (sila gigih ya). If the first language is 5/5, make all the bullets peach, kalau yang tak, buat grey. Depends on you. I did the same for the skill part. Just list all your skills and do the bullet part. 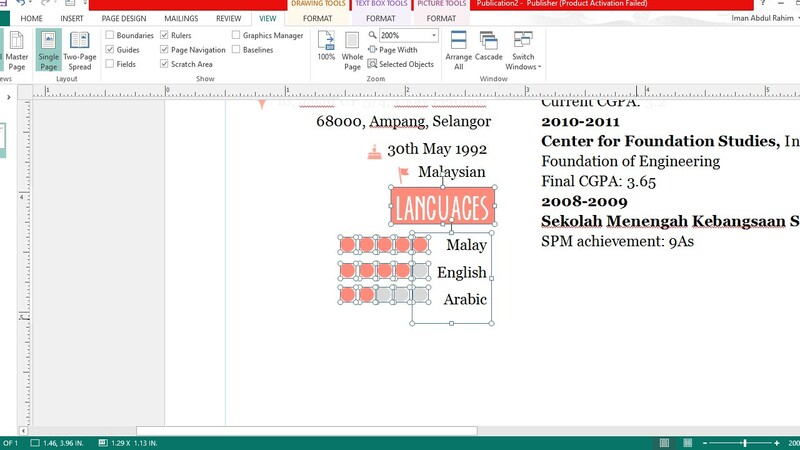 For the other parts (Activities, Achievements, Projects), just use the normal text box and type all the details. 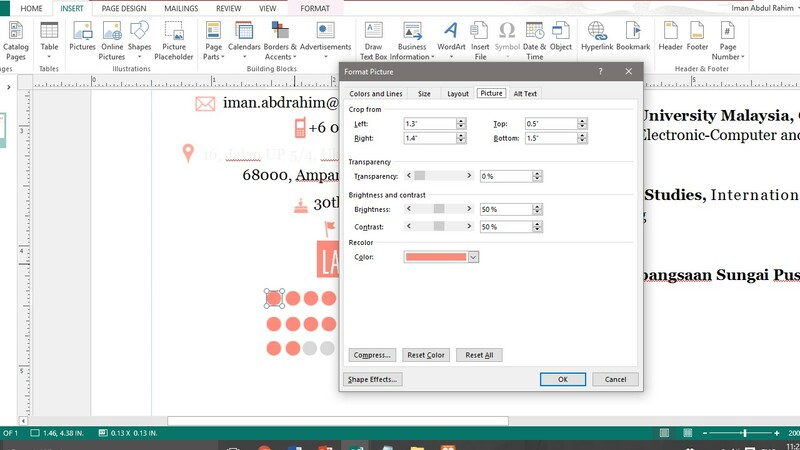 I make sure that my line spacing is 0pt untuk jimatkan ruang. My actual resume. 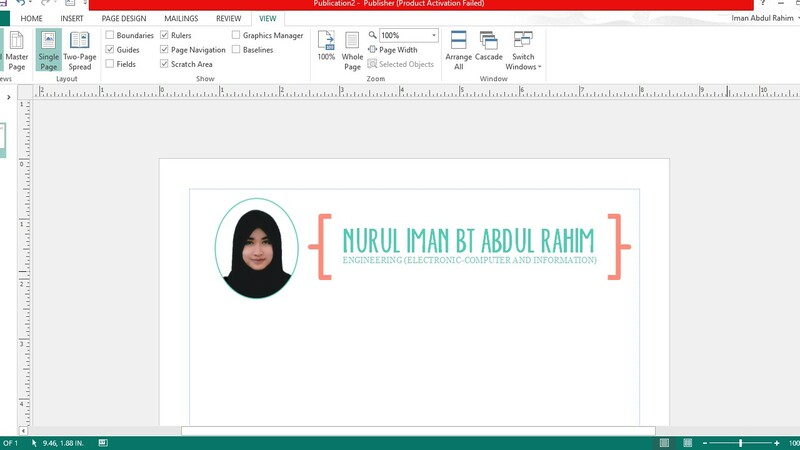 Since it's just a resume, I only put important and relevant info only. 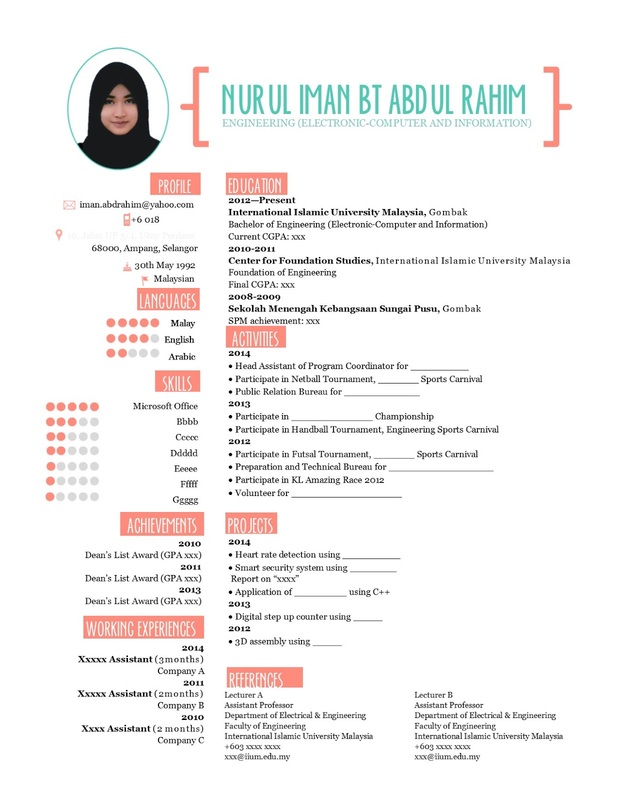 Disclaimer: I didn't use this resume untuk apply kerja betul betul. 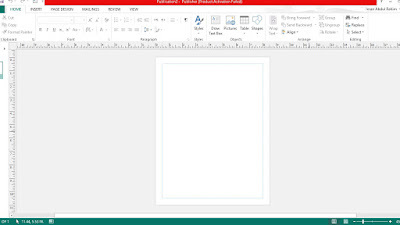 I only used this resume for my internship application. 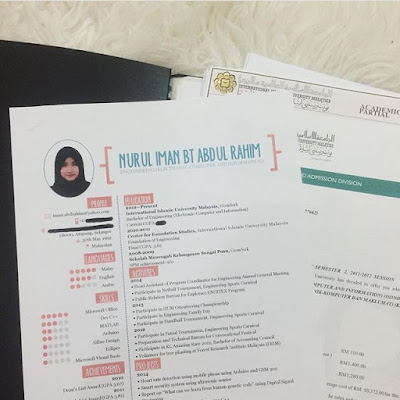 Untuk apply kerja lepas graduate, I used a CV, not resume. And my CV is only a simple black and white, formal template. Difference between CV and resume: Resume is only a brief summary of your skills and experiences. 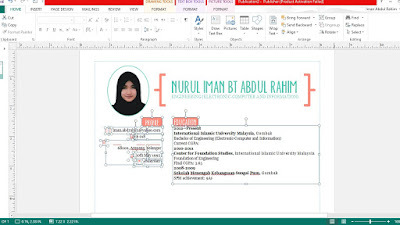 CV is more detail. For example, in the project part, I only write what project that I did. In my CV, I explain more about the project, what are the objectives, the software that I used, the skills that I obtained.